The only way to invent an improvement to an existing product that consumers will pay for is to truly grasp the landscape of the category. Is it stale? Crowded? Are there opportunities for innovation? Where? For example, can you make the product cheaper, easier to use, or greener? You need a point of difference that offers a big benefit to succeed in the market. I want to know if the invention has been described in a patent, but that information is just a starting place. Realistically, I assume that it has been, because prior art exists for just about everything. What I’m truly after is insight. Namely, why the invention isn’t on the market. Prior art is highly useful because it tells a story. Studying it will help you understand the history of innovation related to your invention. You can see the creativity and inventiveness of others. You can see what they learned, what they patented — and also what they missed. Finding prior art on an invention never discourages me if the concept didn’t make it to market. To be clear, prior art is not limited to patents. It is at the heart of the patent process, because in order for an invention to be patentable, it must be new. Simply put, prior art is evidence to the contrary. (2) The claimed invention was described in a patent issued [by the U.S.] or in an application for patent published or deemed published [by the U.S.], in which the patent or application, as the case may be, names another inventor and was effectively filed before the effective filing date of the claimed invention. Your examiner will cite prior art as reason not to issue you the claims in your patent application. Expect this. So, why do I encourage inventors to teach themselves how to do a prior art search? Understanding your true point of difference. You will find yourself in many situations where people will challenge your patent pending status because of prior art. When you’re familiar with the prior art, you can expound upon your point of difference very clearly. In this way, prior art is actually a selling tool. This strategy, which I will devote an entire article to, has worked for me many times. The existing prior art lacked something, typically the technical know-how for the invention to be marketable and commercialized. The intellectual property you file will be much stronger for it. Patent applications that don’t address workarounds invite competition. Studying existing claims is a great way to stoke your creative thinking. What’s missing? You cannot leave this responsibility up to your patent practitioner. Read the claims sections of the patent first to save time, then the rest. Sometimes the nature of the invention is described more expansively elsewhere. 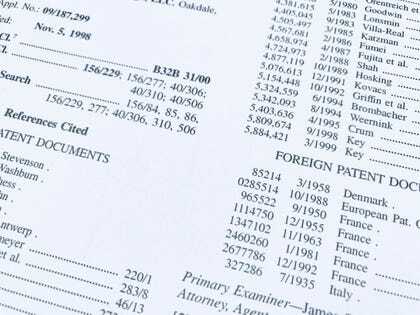 What you know about your point of difference compared to the prior art is the information your patent practitioner needs to help overcome office actions. In my experience, no one else will be as thorough. When I had my big idea for an invention, the third party search firm I paid $2,000 — following the advice of my attorneys — failed to find two patents that described my invention exactly. This rendered the two non-provisional patent applications I had already filed worthless. It wasn’t until I personally poured over the prior art myself that I was able to identify a way forward, and in the end, obtain about 20 patents on the technology. Looking back, I should have been the one working directly with the third party search firm, because things get lost in the translation. They clearly did in this case. Cost-savings. This is especially true if you are a prolific inventor. But even if you’re a novice, inputting a couple of keywords into Google Patents isn’t difficult. You may discover your exact invention has already been patented right away. That’s not necessarily a bad thing. Maybe you walk away after doing a bit more research. Or maybe you contact the patent owner to see if you can purchase it from him or her, or volunteer to split royalties if you obtain a licensing deal. Depending on what you find during your initial search, seek the advice of a professional. When entrepreneur Aaron Krause — the inventor of the Shark Tank famous sponge Scrub Daddy — likes what he sees after searching for prior art, he contacts his attorney for a second opinion and to do an in-depth search. “Can my attorney get a patent with meaning? That’s what I’m concerned about,” Krause told me in a phone interview last year. If he can’t obtain intellectual property that will have value, he’s unlikely to move forward with the idea. “It makes me really nervous,” he admitted. Most of the ideas he has for new products have already been invented. In an interview, patent agent Kevin Prince — who used to do prior art searches for LegalZoom — described the process as “more of an art than a science.” I agree. He cited only two scenarios in which searching for prior art might not be of much value to an inventor. If you are so familiar with an industry and its prior art — because, say, you’ve worked in it for 20 years — you may convince yourself searching isn’t worth it, he said. The other? Design patents. Nineteen out of 20 times, the design patent applications his company QuickPatents files on behalf of inventors are approved. When a design patent only costs $1,000, paying a professional $400 to search for prior art doesn’t add up. When you start to see the same patents come up again and again, that’s a pretty good sign you’re done, Prince said. Typically, that takes professionals about six to eight hours. I encourage you to make use of the many excellent free educational resources provided by the USTPO. In particular, I highly recommend learning how to use the search tools provided by the USPTO effectively, because that will dramatically cut down the time it takes you to identify prior art. I’ll be honest. Reading patents can be mind-numbingly dull. Force yourself to stick with it. Like most things, the more you do it, the easier it becomes.